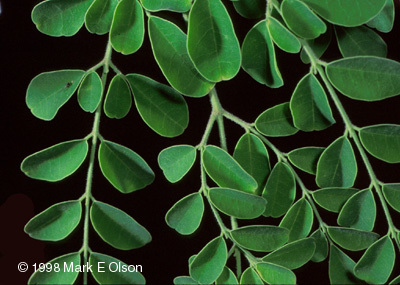 Based on descriptions from herbarium sheets, I expected M concanensis to look like M. oleifera but with only bipinnate leaves. 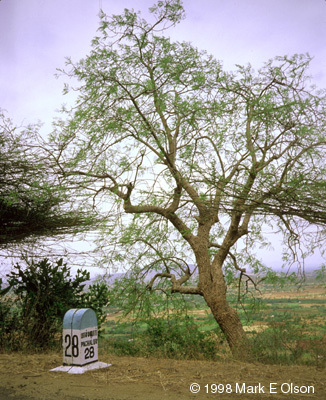 I was surprised when I saw the tree in the field that it is as strikingly distinct as all the other Moringa species are from each other. 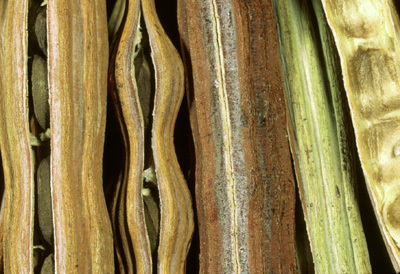 Moringa concanensis has a very strong central trunk that is covered with an extremely distinctive layer of very furrowed bark that can be more than 15cm thick. The flowers also have distinctive green patches at the tips of the petals and sepals. 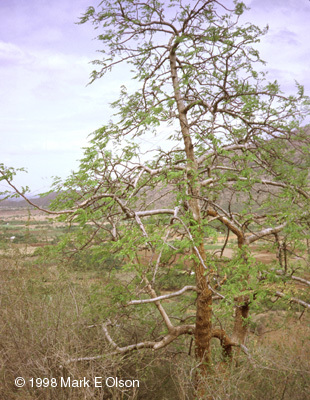 M. concanensis occurs in tropical dry forest from southeastern Pakistan almost to the southern tip of India. It has recently been found in a western Bangladesh. 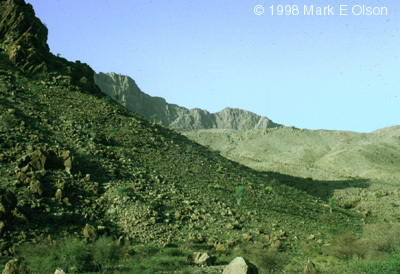 Despite this wide range, M. concanensis habitat is under heavy pressure from agriculture and urbanization. For my money, this native of the Red Sea region is the strangest member of a strange group. 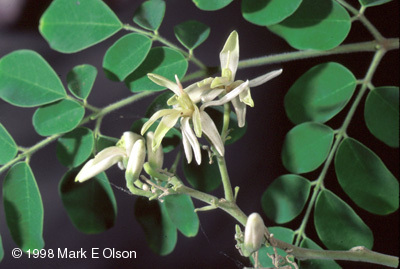 When Moringa peregrina seedlings start out, they have broad leaflets and a large tuber. 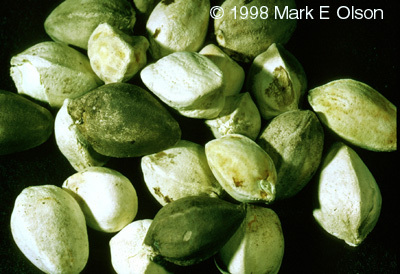 Through many dry seasons, the shoot dies back below ground to the tuber. 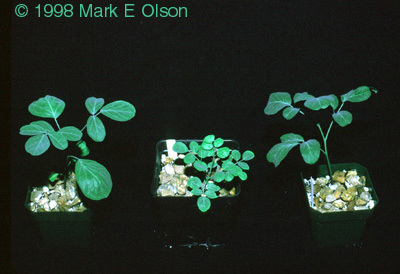 As the plant gets older, the leaves get longer and longer, but the leaflets get smaller and smaller and more widely spaced. 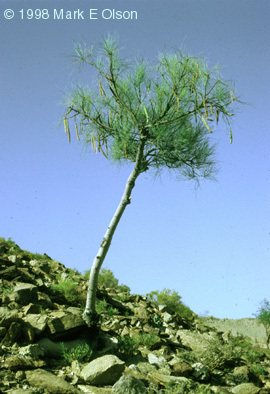 Adult trees produce leaves with a full complement of tiny leaflets, only to drop them as the leaf matures. 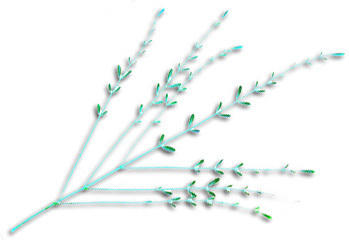 However, the naked leaf axis remains, giving the tree a wispy look similar to Tamarix or Cercidium microphyllum. The pink zygomorphic flowers are sweetly scented and contrast with the blue leaves. It is thought that M. peregrina oil may have been one of the important oils of ancient times (visit the web site Amphorae from Egypt to find out more). 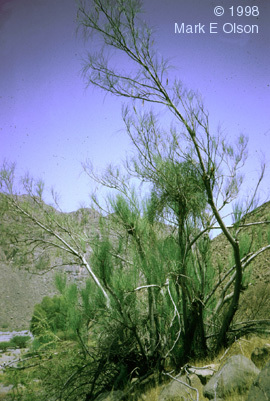 A least in the southern Arabian Peninsula, the tubers of saplings are roasted and eaten.